You’ve entrusted your eLearning project to a third-party provider, but how do you know if everything is going according to plan? In this article, I’ll highlight 7 warning signs that your eLearning outsourcing project may be headed for disaster. You’ve decided to outsource your eLearning project to give your in-house team more time to focus on other tasks. Or maybe to improve resource allocation and tap into the talents of an experienced eLearning professional. However, it’s not quite as simple as signing on the dotted line, giving them instructions, and letting them work their magic. So, how can you tell if everything is running smoothly or if it’s time to intervene? Here are 7 red flags that signal your eLearning outsourcing project is off track. This applies to both sides of the collaborative table. 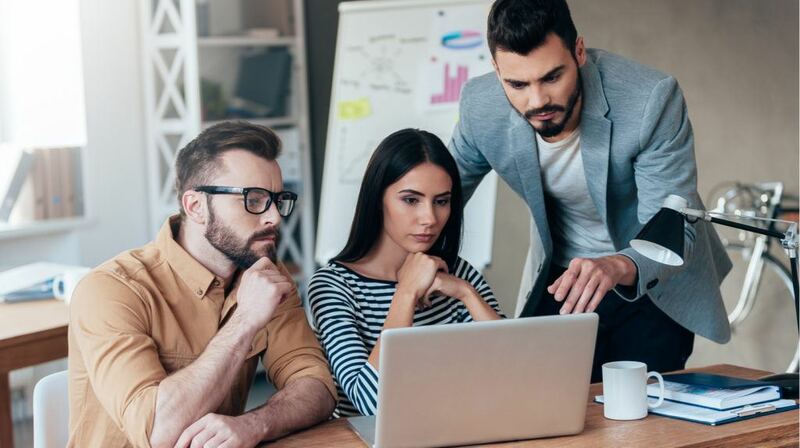 It may be that you don’t have effective leadership in place who can act as a liaison between your organization and the eLearning content provider, or that they don’t have a team leader who can delegate tasks and resolve internal issues. In either case, you must ensure that there’s an eLearning Project Manager who can take charge and oversee the process. Appoint an eLearning Project Manager in-house who can meet with the eLearning vendor regularly, make revision suggestions, and address questions. Likewise, the eLearning outsourcing partner should have a counterpart who serves as a point of contact and manages their team dynamic. Numerous previously determined milestones or eLearning project phases have gone by without any communication from the eLearning vendor, which leaves you guessing as to how far they’ve progressed and whether they’ll meet the final deadline. It’s crucial to clarify expectations in advance and discuss the project's timeline with your eLearning outsourcing partner. If they fail to communicate delays, reach out and raise concerns before it becomes a more serious issue. It seems as though every time you contact the eLearning vendor there’s a new eLearning Project Manager or graphic designer you’ve never met. Thereby, risking the quality and consistency of your eLearning content. Speak with the eLearning vendor beforehand to discuss who will be on their eLearning team, and their level of experience, as well as how long they’ve been collaborating with the organization. If there are significant changes along the way, request that the eLearning vendor notifies you and provides more information about the newest member. For example, they send an email if an eLearning Project Manager suddenly leaves and you have a different point of contact. You should’ve clarified all the costs involved before you signed any agreements. However, there are still instances where unexpected fees can arise. For instance, the eLearning vendor needs a new eLearning authoring tool to develop the interactive online training resources that you recently requested. But frequent unexpected costs are a major red flag. This is a tell-tale sign that the eLearning vendor is running into issues they aren’t disclosing, such as problems with their current tools or payroll overages because the eLearning content is taking longer to develop. It’s wise to leave a small buffer in your budget for unforeseen challenges. But you must also clearly outline the costs in your contract and specify how much you’re willing to allocate to the ‘emergency fund’. The eLearning outsourcing project is completely out of your hands, despite the fact that you do want some degree of control. Bear in mind that an eLearning outsourcing partnership is just that - a collaboration between two parties. You should still have a say in how online training content is developed and how your objectives are executed. In fact, it’s best to outline how often you receive updates and how your suggestions are taken into consideration. For example, there will be a monthly meeting wherein you exchange feedback and receive progress reports. In addition, clarify your role with the eLearning vendor so that both parties know what to expect. You are a month into the eLearning outsourcing project and the eLearning outsourcing partner is still not 100% sure about your training objectives, goals, or gaps. They don’t fully understand what you’re trying to achieve. As such, they’re unable to meet your expectations and requirements. Before starting the eLearning outsourcing project, create a plan of action with the eLearning vendor and ensure that everyone is on the same wavelength. Everyone should be aware of the organizational goals, learning outcomes, and learner preferences. It’s best to check in periodically to verify that the eLearning Project Management is still on track. This also gives you the opportunity to discuss minor changes that they should know about. For instance, you need to revise the compliance online training module because new laws or regulations came into effect. This warning sign mainly pertains to personality clashes and differences in work practices. Of course, your L&D team may do things differently than their team. However, both parties should still mesh well and work together effectively to develop the best eLearning courses. This is especially true when eLearning outsourcing partners must work in-house with your L&D staff. During your pre-project meeting, ensure that everyone understands the scope of the eLearning project and respects one another’s ideas and that all key stakeholders and team members know their roles and how shared tasks will be handled. For example, they’ll use an eLearning Project Management platform to share files and leave feedback notes. If you notice any of these 7 warning signs with your current eLearning outsourcing project, there’s still time to get back on track. It may simply be a matter of discussing issues with your eLearning vendor or re-evaluating your needs. The secret to eLearning outsourcing success is to treat it like a partnership that involves mutual respect and open communication. Have you been considering whether it is more cost-efficient to tackle the task in-house or outsource it? Have you tried hard at eLearning course development, but you're still not achieving the desired results? Download the free eBook The Ultimate Guide To eLearning Outsourcing and find out about the benefits of eLearning outsourcing, common mistakes to avoid, criteria for choosing the best eLearning outsourcing Content Provider, how to ensure that your eLearning outsourcing project runs smoothly and much more.